Before disposal, add approximately .50g of XPell R for each liter of solvent. 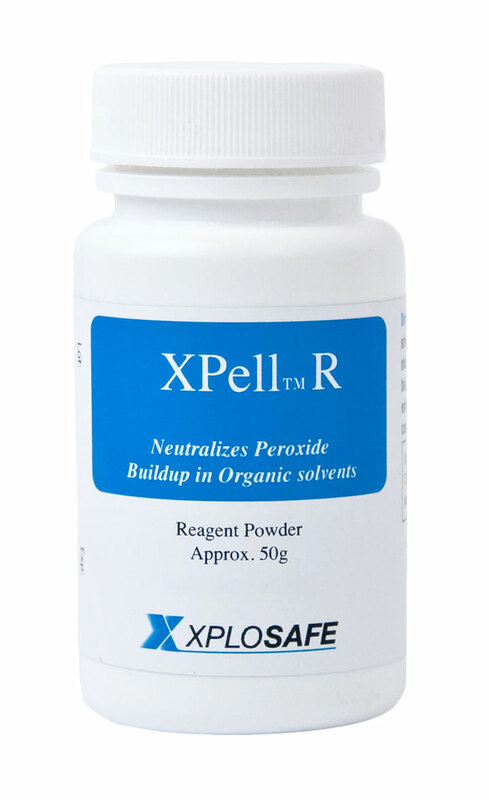 XPell R neutralizes peroxides present in the solvent and peroxides that form over time. The solvent should be free of peroxides as long as the immersed powder remains dark blue. A color change to a yellow/pale color indicates that the protection is exhausted. If this change occurs, add more powder to the solvent until the color of the additional powder remains dark blue.